I believe there is no other word that will kill a romantic moment between two people more than the word budget. The thought of sitting down for hours making a plan for your money as a couple is not anyone’s idea of a dream date. Especially when you are just starting out. 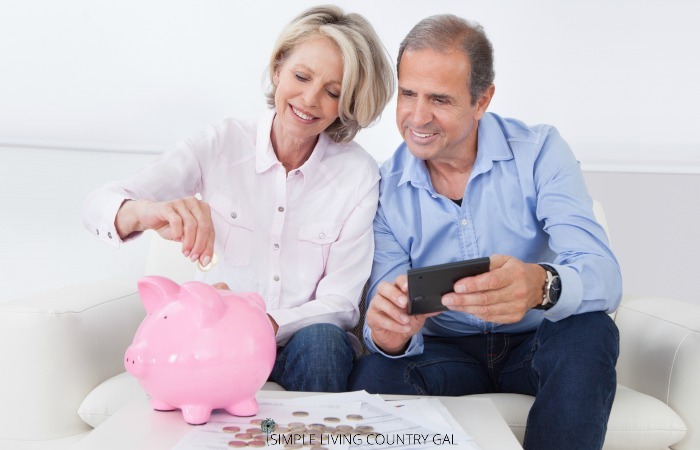 The thought of earmarking a specific place for all your money can be a daunting task. But….it doesn’t have to be. If you want to embrace a life of simple live. Of frugal living, you need to have game plan. A starting point. Having your money ear marked each and every month is the backbone of all frugal people. For years Hubs and I did not have a budget. We (eeek) lived paycheck to paycheck. And let me just say those were the most trying times in our marriage. Not having a game plan is not only stressful but it’s frightening. We were just one car breakdown away from disaster and we soon learned that was not the way to live. A budget is simple really. It is a game plan for you and your family to follow so you do not spend more than you make. That’s it. Easy. The quick version of this is to take all of your income and subtract out all of your savings, charity, bills and necessities. Always keep in mind that your end goal is to spend less than what you make. You need to have a plan. And that’s pretty much it. Step #1 Get on the same page. There is nothing worse than trying to do something without the help and support of your partner. Nowhere is this more true than with money. Make sure you are both on board with creating a budget so you both are more apt to stick to it. Are you looking to save money for a vacation? Do you have children you want to save college money for? It is just to get control of your finances while you decide what to do next? Are you just starting out your life together and you want a game plan from the get go? Are you living paycheck to paycheck and you want a better approach to your money? Do you want to put money away for your retirement? Do you need to make a large purchase such as a new car or new appliance? Are you tired or being scared of your finances and you want to make a change? Step #4 Make a date. This may seem like a silly tip, but if all you do is talk about things without actually taking action you will never leave where you are. Make a date, write it on the calendar and commit to being there fully and completely. Step #5 Pick a neutral spot. Talking about money is always a tricky subject. Keep things calm by choosing a neutral spot where you can spread out and get to work. A kitchen table is a perfect spot. Tip: If you have little ones at home, find something to keep them occupied. If this is not possible, you may want to work on your finances after bedtime. Your focus needs to be “all in” so you make well thought out decisions and you are not forced into a rush job. Step #6 List your starting savings. Now, don’t panic if this number is zero. This is why you are here after all. If you do have money in savings, list that now and pat yourself on the back for a job well done! Step #7 List your income. Write down any and all income you make in a month. (you can also do this by the year, but I have found when just starting out monthly is the better less overwhelming approach) I prefer to work in net amounts. Net simply means your income after taxes and all deductions. AKA your take home pay. Step #8 List your recurring bills. Make a list of every single thing you pay for each month. Utilities, mortgage, credit card payments, daycare, loans of any kind, all insurance (health/car/life). Pull out your checkbook for reference and make sure you write down every single thing. No matter how small. This list should include things that MUST be paid each month. That are set in stone with a due date. Tip: List only the bare minimum payment for each. We are not rounding up here. This is your budget so it needs to be the starting point for your money. Keep payments at the minimum with the goal going up from there. Step #9 List your flexible payments or expenses. This is a list of items that changes month to month. Charity, clothing, food, entertainment, gas, household expenses (paper products, cleaning supplies), pet food and care, car care (oil changes, car washes). If you have a checkbook register, you may want to refer to it so you are not leaving anything out. Step #10 List your savings. This is a list of savings accounts that you contribute to monthly (or would like to). This includes but is not limited to personal, investment, or savings for your children. Tip: Keep each list (steps 8-10) on its own sheet of paper along with the monthly estimated total. This will make the remaining steps a bit easier to do. Step #11 Start your budget. Take a sheet of paper or a spreadsheet if you prefer and list all of your income for the month. Try to be as accurate as possible. If you have a flexible income, take an average pay for the previous 6 months (total net income for 6 months divided by 6 equals your monthly average income). Below your income list your expenses. You can use a total number from steps 8-10. Subtract your expenses from your income. Unless the number is zero, you will have some adjusting to do. Step #12 Go back and adjust. Now is the get down and dirty time. If you have a negative result in step #11, which I am sure most of us will, you will need to go back to steps 8-10 and see where you can decrease payments or spending habits. For us, grocery shopping is the first place we look. I know I can always get our grocery budget lower if needed, you can find tips for this here. 7 Ways To Save Money On Your Grocery Bill. You can also look at entertainment, gas, clothing etc. These are the areas where you can easily (and painlessly) cut back. Once you have these areas adjusted, revisit your budget in step 11 and check your numbers. If you still have a negative balance, it may be time to get real. The goal of your budget remember is to spend LESS than you make. If you are spending more. Stop. I cannot stress this enough. Supplementing your monthly budget with credit cards is a one-way ticket to disaster. Your only solution is to cut your recurring expenses as far as you can to make your budget work. What if you cut back and your budget still does not work? Then you may need to consider radical solutions. Down grade your vehicle. Consolidate any loans. Temporarily stop most flexible expenses. Adjust your monthly savings contribution (only use this as a last resort). Find ways to cut back. Be real and be determined. Step #13 Adjust the positive as well. If, however, you have a surplus at the end of your budget then take a minute to celebrate! Once you are done, go back to steps 8 and 10 first. These are areas where the extra money will make the most impact. You can add money to fixed payments with an early payoff as the goal. Or you can add money to your monthly savings. Either way, do not let the money sit there to be easily spent. Using the extra cash to put your family ahead of the game is one of the goals of a monthly budget. Step #14 Finalize. Once you have your numbers all set, and do not worry if it takes a while to get there. 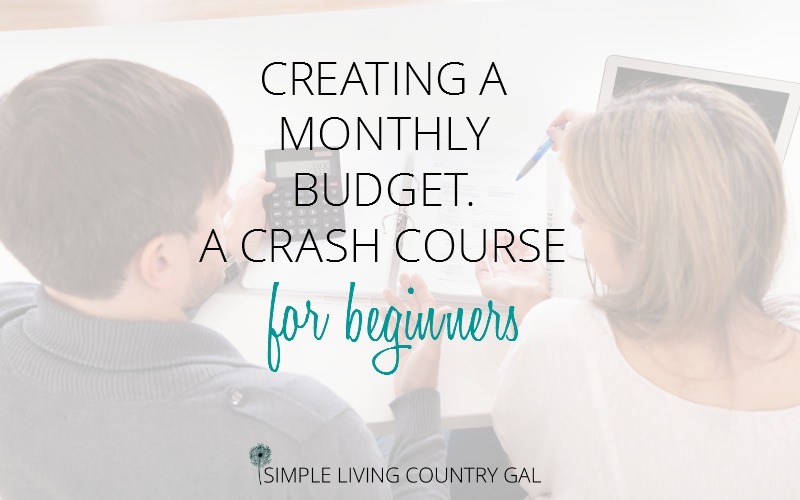 You will want to make this your monthly budget. This is your game plan every month. Now you know exactly what you are able to spend on your flexible expenses each and every month. Get those numbers written down so you each know where your cap is. Do not forget the end goal, spend less than you make. Step #15 Meet and review. If this is your very first budget, I would suggest meeting weekly to check your progress. It can take some time adjusting to this new way of spending. By meeting often you will ensure you are staying on track and on budget. Eventually, you may only need to meet monthly to go over how you did and if adjustments need to be made. Remember a budget is a living and breathing thing. It is not a set it and forget it tool. Go over things often to make sure you are always on track. Tip: Make a Budget In A Bin. This is a super simple way to keep all of your budgeting tools so you can easily go over things weekly or monthly as a couple. You can also add in bills as soon as they come in the mail. This will take your budgeting skills to ninja status. Now you no longer have to worry about misplacing a bill. I love this plastic carrier. It works perfectly to keep all of our things organized and is compact enough to store just about anywhere. It also has room at the top for pens, paperclips and a small calculator. No more excuses kids!! I know it’s a lot of steps, but if you take them one at a time and pay each the attention they deserve you will have a functioning budget. Use this budget as a starting point to get your family on track to saving rather than spending. Avoid debt like the plague with paying off and saving up your monthly goals from here on in. Next, we will learn frugal tips to lowering your monthly budget and getting, even more, bang for your buck!